TL;DR – Start PowerShell as the root user, install the module for All Users and then set up your cron job to run the script in the root user’s crontab. If, like me, you have a Raspberry Pi that you are already using to do awesome home automation things with and you’re a big fan of PowerShell, you’re probably as excited as I was hearing that it was now possible to install (I say that loosely) and run PowerShell Core on a Raspberry Pi 2 or 3. That we have a low power IoT type device capable of running PowerShell opens up some amazing opportunities for PowerShell enthusiasts who might not have a lot of exposure to Python. Python has great compatibility with a Raspberry PI, allowing you to control GPIO pins but PowerShell Core 6 doesn’t have that level of capability…yet but I’m sure it will come in time. That said, if you want to schedule PowerShell scripts to run and don’t want to have your computer running all the time, a Raspberry Pi is now an option. You should be aware of its limits – limited memory, disk storage and CPU power being the most obvious. 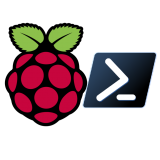 The purpose of this post is to demonstrate how to use a Raspberry Pi to run a PowerShell script that requires access to parts of the OS it wouldn’t normally have. It will be using a module and running on a schedule using cron. It requires a module called PoSHive. It’s meant to run on a schedule. 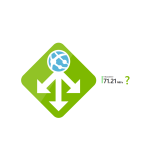 It copies a file to a web server hosting area which requires super user (sudo). It’s number 3 that drives our decisions from here. If we tried to run this script in our own crontab (Linux task scheduler), we’d get our output file but it would never be copied to /var/www/html/temperature-trends as we want because that’s a special folder owned by root. We’ll ignore the fact that I could technically make myself the owner of the folder for the purposes of this demonstration. Similarly, if we just added the PowerShell command as a cron job to the root user’s crontab, it wouldn’t have the module we need and would fail. The solution then is to run PowerShell as the root user and install the module for all users. 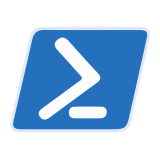 Get PowerShell running as root. Enter the details for the cron job using the appropriate settings. Cron scheduling is easy to work out when you use something like Crontab guru. I want my script to run every day, just before midnight. The important bit to take away from this is that you need to specify full path locations to PowerShell itself and the script’s location. That is pretty much all there is to it. Your script should now run on the schedule you’ve set, with the root user’s privileges, properly import the module (since it’s installed for all users) and be allowed to perform other root user level activities within the PowerShell script such as copy a file to a system folder, as we do in our script. 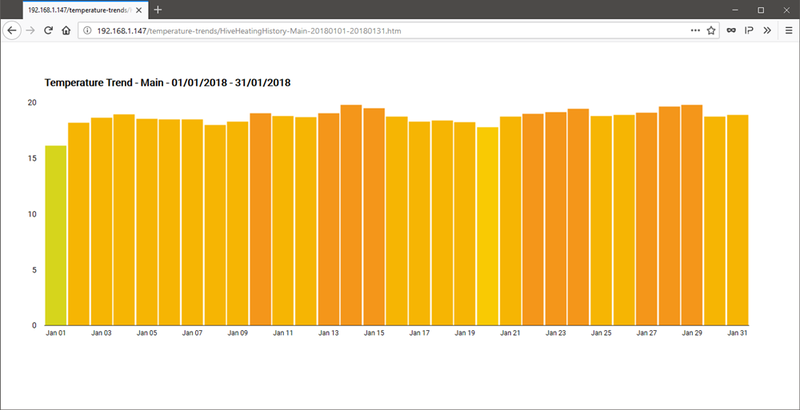 Here’s a screenshot of the output from my script, running on a Raspberry Pi, which is the temperature trend of my home heating system in January 2018 produced by my module PoSHive, using data from the Hive API and created using Google Charts. Have fun with PowerShell on your Raspberry Pi!